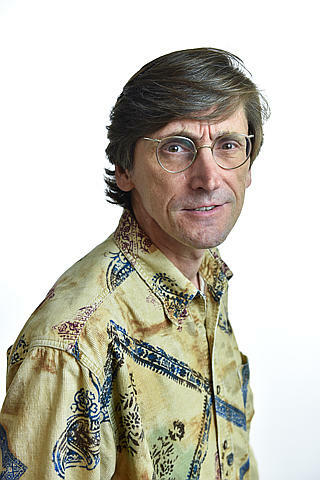 Dr. Garry W. Buchko is a physical biochemist that first joined PNNL as a postdoctoral fellow with Dr. Michael Kennedy in 1995 and was promoted to senior scientist in 2001. In 2017 he accepted a joint-appointment as an Associate Professor with the School of Molecular Biosciences at Washington State University. He received his M.Sc. in Chemistry at McMaster University (1986) under the supervision of Drs. Russell Bell and the late Tom Nelson, pioneers in the field of ribonucleic acid synthetic chemistry. This was followed by a doctorate degree in Chemistry at the University of Manitoba (1989) with Dr. Frank Hruska, a pioneer in using NMR spectroscopy to study nucleic acid sugar conformations. His first two postdoctoral experiences were with the radiation biologists Drs. Jean Cadet in Grenoble, France (Laboratoire des Lesions des Acides Nucléique, Centre d'Etudes Nucléaires de Grenoble) and Michael Weinfeld in Edmonton, Alberta (Cross Cancer Institute). His third postdoctoral experience was with the NMR spectroscopist/protein biochemist Dr. Bob Cushley in Burnaby, British Columbia (Institute of Molecular Biology and Biochemistry, Simon Fraser University). Currently, Dr. Buchko is the PNNL-WSU component of the Seattle Structural Genomics Center for Infectious Disease (SSGCID, www.ssgcid.org), a consortium of researchers at the Center for Infectious Disease Research (formerly Seattle BioMed), Beryllium (formerly Emerald BioStructures), and the University of Washington. SSGCID is funded by the National Institute of Allergies and Infectious Diseases (NIAID) and devoted to applying state-of-the-art structural genomics technologies to structurally characterize targeted proteins from NIAID Category A-C pathogens and organisms. In addition to the SSGCID structural biology efforts, Dr. Buchko is also part of a team of PNNL scientists, lead by Dr. Wendy Shaw and funded by National Institute of Dental and Craniofacial Research, studying amelogenin's role in the formation of tooth enamel (biomineralization). Structural biology (protein structures solved by NMR-based methods or X-ray crystallography). Protein function analysis. A common approach is to determine a structure by XRD and then identify protein-ligand interactions in solution using a suite of NMR experiments (eg: chemical shift perturbation). Biophysical characterization of proteins using a suite of spectroscopies. Protein thermodynamics (isothermal titration calorimetry). Associate Professor - School of Molecular Biosciences, Washington State University. Buchko G.W., I. Phan, L. Cron, R. Stacy, R. Stacy, L.J. Stewart, and B.L. Staker, et al. 2012. "Behind Every Good Metabolite there is a Great Enzyme (and perhaps a structure)." Metabolomics 2, no. 6:Article No. e124. PNNL-SA-91649. Buchko G.W. 2010. "Circular Dichrosim Studies on the Deinococcus Radiodurans Nudix Hydrolase DR_0079: an Atypical Thermal Melt." Protein and Peptide Letters 17, no. 7:831-835. PNNL-SA-46812. Buchko G.W., B.J. Tarasevich, J. Roberts, M.L. Snead, and W.J. Shaw. 2010. "A Solution NMR Investigation into the Murine Amelogenin Splice-Variant LRAP (Leucine-Rich Amelogenin Protein)." Biochimica et Biophysica Acta--Proteins and Proteomics 1804, no. 9:1768-1774. PNNL-SA-69686. Buchko G.W., C.Y. Kim, T.C. Terwilliger, and P.J. Myler. 2010. "Solution Structure of Rv2377c-Founding Member of the MbtH-Like Protein Family." Tuberculosis 90, no. 4:245-251. PNWD-SA-8831. Buchko G.W., H. Robinson, J. Abendroth, B.L. Staker, and P.J. Myler. 2010. "Structural characterization of Burkholderia pseudomallei adenylate kinase (Adk): Profound asymmetry in the crystal structure of the ‘open’ state." Biochemical and Biophysical Research Communications 394, no. 4:1012-1017. PNWD-SA-8859. Buchko G.W. 2009. "Pentapeptide Repeat Proteins and Cyanobacteria." In Handbook on Cyanobacteria: Biochemistry, Biotechnology and Applications. 233-257. Hauppauge, New York:Nova Science Publishers. PNNL-SA-62778. Buchko G.W., H. Robinson, and A. Addlagatta. 2009. "Structural characterization of the protein cce_0567 from Cyanothece 51142, a metalloprotein associated with nitrogen fixation in the DUF683 family." Biochimica et Biophysica Acta--Proteins and Proteomics 1794, no. 4:627-633. PNNL-SA-61462. Myler P.J., R. Stacy, R. Stacy, L.J. Stewart, B.L. Staker, W.C. Van Voorhis, and G. Varani, et al. 2009. "The Seattle Structure Genomics Center for Infectious Disease (SSGCID)." Infectious Disorders Drug Targets 9, no. 5:493-506. PNWD-SA-8486. Webb-Robertson B.M., L.A. McCue, N. Beagley, J.E. McDermott, D.S. Wunschel, S.M. Varnum, and J.Z. Hu, et al. 2009. "A Bayesian Integration Model of High-Throughput Proteomics and Metabolomics Data for Improved Early Detection of Microbial Infections." In Pacific Symposium on Biocomputing, 14, 451-463. Singapore:World Scientific Publishing Co. PNNL-SA-61531. Buchko G.W., and H.J. Sofia. 2008. "Backbone 1H, 13C, and 15N NMR assignments for the Cyanothece 51142 protein cce_0567: a protein associated with nitrogen fixation in the DUF683 family." Biomolecular NMR Assignments 2. PNNL-SA-57687. Buchko G.W., H. Robinson, H.B. Pakrasi, and M.A. Kennedy. 2008. "Insights into the structural variation between pentapeptide repeat proteins - Crystal structure of Rfr23 from Cyanothece 51142." Journal of Structural Biology 162, no. 1:184-192. PNNL-SA-54391. Buchko G.W., J.G. Bekhazi, J.R. Cort, N.B. Valentine, M.L. Snead, and W.J. Shaw. 2008. "1H, 13C, and 15N resonance assignments of murine amelogenin, an enamel biomineralization protein." Biomolecular NMR Assignments 2, no. 1:89-91. PNNL-SA-59235. Buchko G.W., O. Litvinova, H. Robinson, A.F. Yakunin, and M.A. Kennedy. 2008. "Functional and structural characterization of DR_0079 from Deinococcus radiodurans, a novel Nudix hydrolase with a preference for cytosine (deoxy) ribonucleoside 5'-di- and triphosphates." Biochemistry 47, no. 25:6571-82. PNNL-SA-58409. Buchko G.W., and J. Cadet. 2006. "Identification of the a and ß Anomers of 1-(2-Deoxy-D-Erythro-Pentofuranosyl)-Oxaluric Acid at the Site of Riboflavin-mediated Photooxidation of Guanine in 2'-Deoxyguanosine and Thymidylyl-(3'-5')-2'-Deoxyguanosine." Photochemistry and Photobiology 82, no. 1:191-199. PNNL-SA-45422. Buchko G.W., S. Ni, H. Robinson, E.A. Welsh, H.B. Pakrasi, and M.A. Kennedy. 2006. "Characterization of two potentially universal turn motifs that shape the repeated five-residues fold - Crystal structure of a lumenal pentapeptide repeat protein from Cyanothece 51142." Protein Science 15, no. 11:2579-2595. PNNL-SA-49580. Buchko G.W., K. McAteer, S.S. Wallace, and M.A. Kennedy. 2005. "Solution-state NMR Investigation of DNA Binding Interactions in Escherichia coli Formamidopyrimidine-DNA Glycosylase (Fpg): A Dynamic Description of the DNA/Protein Interface." DNA Repair 4, no. 3:327-339. PNNL-SA-43028. Buchko G.W., S. Ni, S.R. Holbrook, and M.A. Kennedy. 2004. "Solution Structure of Hypothetical Nudix Hydrolase DR0079 from Extremely Radiation-Resistant Deinococcus radiodurans Bacterium." Proteins. Structure, Function, and Bioinformatics 56, no. 1:28-39. PNWD-SA-6181. McAteer K., A. Aceves Gaona, R. Michalczyk, G.W. Buchko, N.G. Isern, L.A. Silks, and J.H. Miller, et al. 2004. "Compensating Bends in a 16 base-pair DNA Oligomer Containing a T3A3 Segment: A NMR Study of Global DNA Curvature." Biopolymers 75, no. 6:497-511. PNNL-SA-41115. Buchko G.W., S. Ni, S.R. Holbrook, and M.A. Kennedy. 2003. "H-1, C-13, and N-15 NMR assignments of the hypothetical Nudix protein DR0079 from the extremely radiation-resistant bacterium Deinococcus radiodurans." Journal of Biomolecular NMR 25, no. 2:169-170. PNNL-SA-37579. Daughdrill G.W., G.W. Buchko, M.V. Botuyan, C.H. Arrowsmith, M.S. Wold, M.A. Kennedy, and D.F. Lowry. 2003. "Chemical shift changes provide evidence for overlapping single-stranded DNA and XPA binding sites on the 70 kDa subunit of human replication protein A." Nucleic Acids Research 31, no. 14:4176-4183. PNNL-SA-38556. Holbrook E.L., U. Schulze-Gahmen, G.W. Buchko, S. Ni, M.A. Kennedy, and S.R. Holbrook. 2003. "Purification, crystallization and preliminary X-ray analysis of two Nudix hydrolases from Deinococcus radiodurans." Acta Crystallographica. Section D, Biological Crystallography 59, no. Pt.4:737-740. PNNL-SA-37353. Buchko G.W., and M. Weinfeld. 2002. "DNA-Targeted 2-Nitroimidazoles: Studies of the Influence of the Phenanthridine-Linked Nitroimidazoles, 2-NLP-3 and 2-NLP-4, on DNA Damage Induced by Ionizing Radiation." Radiation Research 158, no. 3:302-310. PNWD-SA-5465. Buchko G.W., S.S. Wallace, and M.A. Kennedy. 2002. "Base excision repair: NMR backbone assignments of Escherichia coli formamidopyrimidine-DNA glycosylase." Journal of Biomolecular NMR 22, no. 3:301-302. PNNL-SA-35528. Buchko G.W., and M.A. Kennedy. 2001. "Hydroxyapatite Elution Behavior of Human Nucleotide Excision Repair Protein XPA and Fragments of XPA." Protein and Peptide Letters 8 (5), no. 2001:357-365. PNNL-SA-34760. Buchko G.W., C. Tung, K. Mcateer, N.G. Isern, L.D. Spicer, and M.A. Kennedy. 2001. "DNA-XPA Interactions: A 31P NMR Study of dCCAATAACC Association With the Minimal DNA-Binding Domain (M98-F219) of the Nucleotide Excision Repair Protein XPA." Nucleic Acids Research 29, no. 12:2635-2643. PNNL-SA-34180. Buchko G.W., N.G. Isern, L.D. Spicer, and M.A. Kennedy. 2001. "Human Nucleotide Excision Repair Protein XPA: NMR Spectroscopic Studies of an XPA Fragment Containing the ERCC1-Binding Region and the Minimal DNA-Binding Domain (M59-F219)." Mutation Research 486, no. 1:1-10. PNNL-SA-33784. Lipton A.S., G.W. Buchko, J.A. Sears, M.A. Kennedy, and P.D. Ellis. 2001. "Zn-67 Solid-State NMR Spectroscopy of the Minimal DNA Binding Domain of Human Nucleotide Excision Repair Protein XPA." Journal of the American Chemical Society 123, no. 5:992-993. PNWD-SA-5156. Buchko G.W., A. Rozek, P. Kanda, M.A. Kennedy, and R.J. Cushley. 2000. "Structural Studies of a Baboon (Papio sp.) Plasma Protein Inhibitor of Cholesteryl Ester Transferase." Protein Science 9. PNNL-SA-32303. Buchko G.W., N.J. Hess, and M.A. Kennedy. 2000. "Cadmium Mutagenicity and Human Nucleotide Excision Repair Protein XPA: CD, EXAFS, and 1H/15N NMR Spectroscopic Studies on the Zinc (II) and Cadmium (II) Associated Minimal DNA-Binding Domain." Carcinogenesis 21, no. 5:1051-1057. PNNL-SA-31519. Buchko G.W., N.J. Hess, and M.A. Kennedy. 2000. "Human Nucleotide Excision Repair Protein XPA: Summary of EXAFS Studies On the Zn (II), Co (II), and Cd (II) Associated Minimal DNA-Binding Domain." Protein and Peptide Letters 7, no. 1:49-56. PNNL-SA-32501. Buchko G.W., N.J. Hess, V. Bandaru, S.S. Wallace, and M.A. Kennedy. 2000. "Spectroscopic Studies of Zinc (II) and Cobalt (II) Associated Escherichia Coli Formamidopyrimidine-DNA Glycosylase: Extended X-Ray Absorption Fine Structure Evidence for a Metal-Binding Domain." Biochemistry 39. PNNL-SA-33227. Buchko G.W., G.W. Daughdrill, R. De Lorimier, S. Rao B K, N.G. Isern, J.M. Lingbeck, and J.S. Taylor, et al. 1999. "Interactions of Human Nucleotide Excision Repair Protein XPA with DNA and RPA70 Delta c327: Chemical Shift Mapping and N-15 NMR Relaxation Studies." Biochemistry 38, no. 46:15116-15128. PNNL-SA-32487. Buchko G.W., L.M. Iakoucheva, M.A. Kennedy, E.J. Ackerman, and N.J. Hess. 1999. "Extended X-ray Absorption Fine Structure Evidence for a Single Metal Binding Domain in Xenopus Laevis Nucleotide Excision Repair Protein XPA." Biochemical and Biophysical Research Communications 254, no. 1:109-113. PNNL-SA-30414. Buchko G.W., S. Ni, B.D. Thrall, and M.A. Kennedy. 1998. "Structural Features of the Minimal DNA Binding Domain (M98-F219) of Human Nucleotide Excision Repair Protein XPA." Nucleic Acids Research 26, no. 11:2779-2788. PNNL-SA-29588.